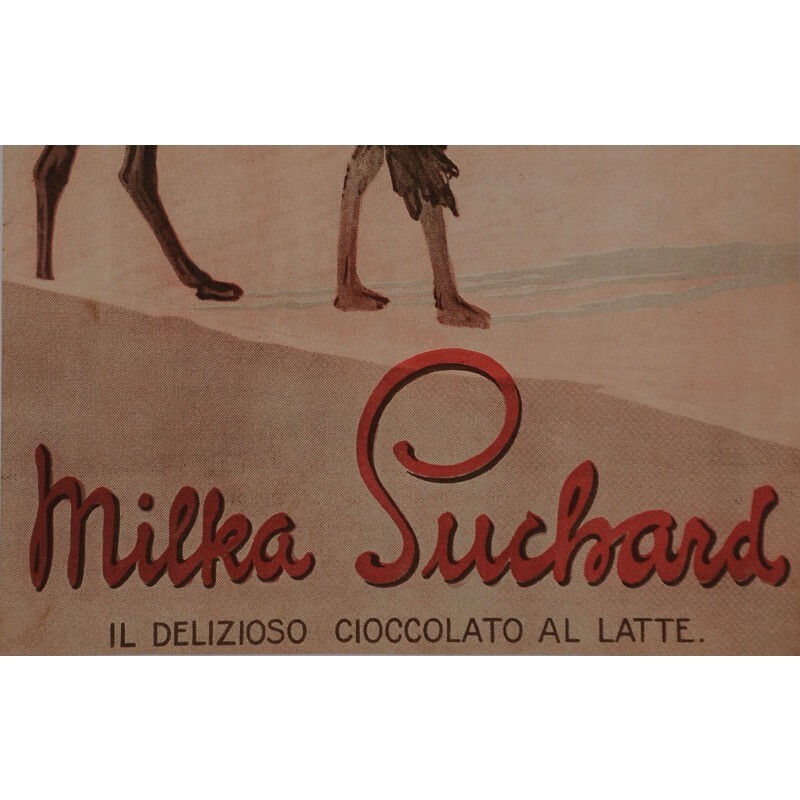 Milka Suchard, the delicious milk chocolate, as the caption reminds us. 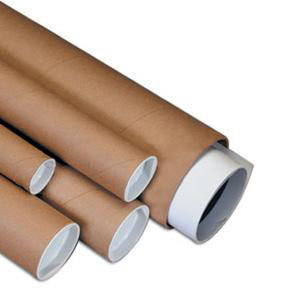 A poster (ca. 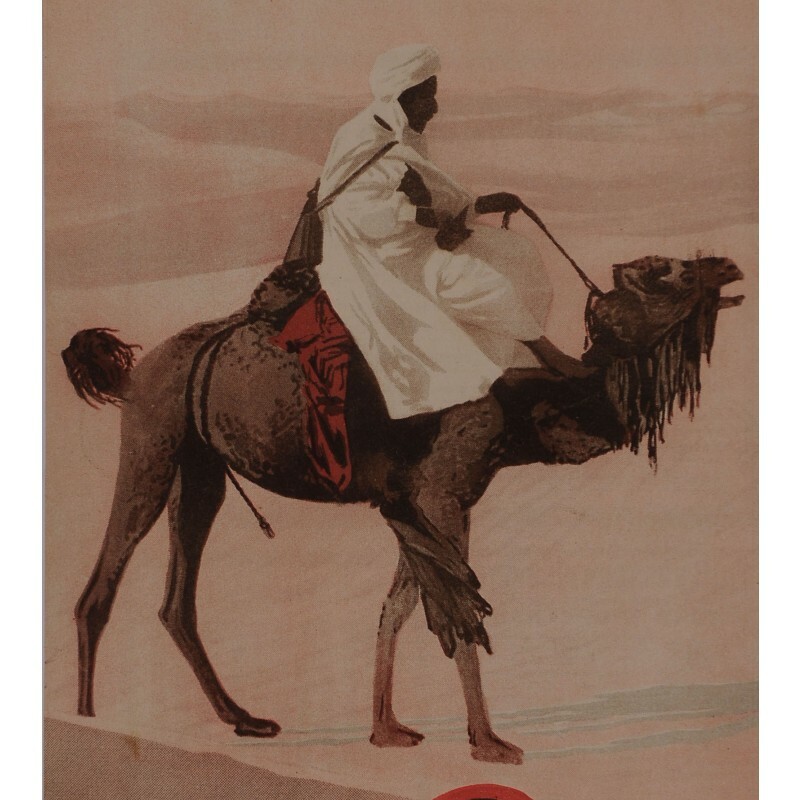 1940) realized for the Italian market, reminiscent of the sands of the Libyan desert. Italian Libya, at the time was a unified colony of Italian North Africa (Africa Settentrionale Italiana, or ASI) established in 1934 in what represents present-day Libya. Milka was founded in Neuchtel in 1826 and remains a flagship of the Swiss chocolate industry.